Contemporary decor has always been my favorite decorating style, but it can be so hard to incorporate it into a bedroom without it looking very cold and stark. Modern home decor tends to be very sleek and cold, with simple color palettes and not a ton of personality. Of course the bedroom is supposed to be warm and inviting, so these descriptions are certainly not the most appealing when it comes to creating a cozy space like this. 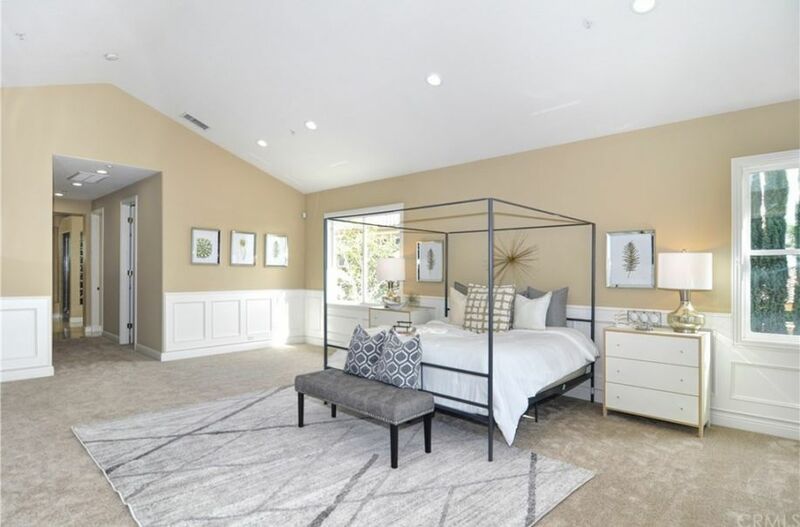 I really enjoy the bedroom decor ideas that they used in this particular master because they have the edginess that I enjoy, but with more of a softness that makes the space feel quite serene and relaxing. Simple sleek contemporary decor like this homeowner used in their all grey living room design is by far my favorite. Even though there is not a whole lot of color or pattern, the living room decor has so much depth and interest to it. While some homeowners shy away from neutrals or even a monochromatic color palette, I revel in these looks because I find them so effortlessly chic. There is no need for vibrant contrasting color or bold patterns, if you layer textures, subtle shade differences and intricate details like they did here. I am so inspired by their fabulous contemporary home decor, that I am now looking around my own living room to see where and how I can recreate this look. One of my favorite areas to use fantastic contemporary decor is in the bedroom. I find the very simple and elegant designs characteristic of modern bedroom decor to be so serene and relaxing -- the very things that you want this particular space to be. 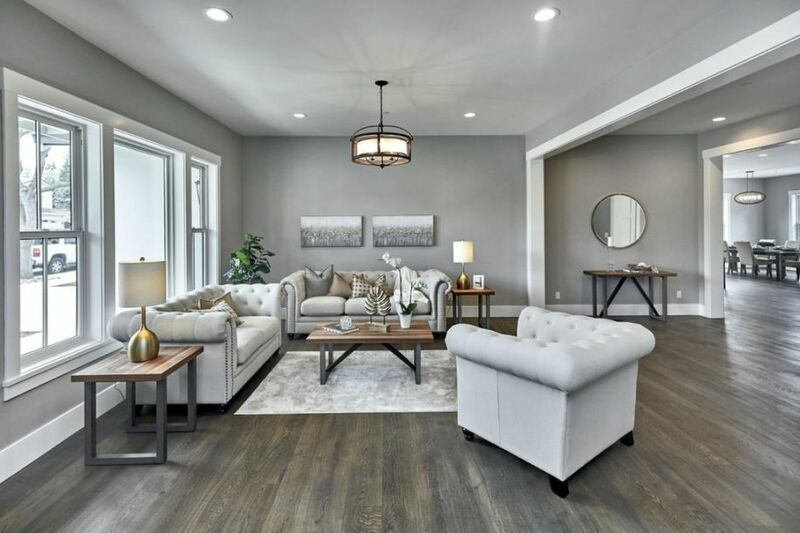 When in doubt, I tend to start with a very simplistic color palette of neutrals -- usually a crisp white paired with a subtle grey or tan shade like this room. Then I layer lots of textiles through bed linens, area rugs, and upholstered furniture in order to bring depth and pattern to the look. 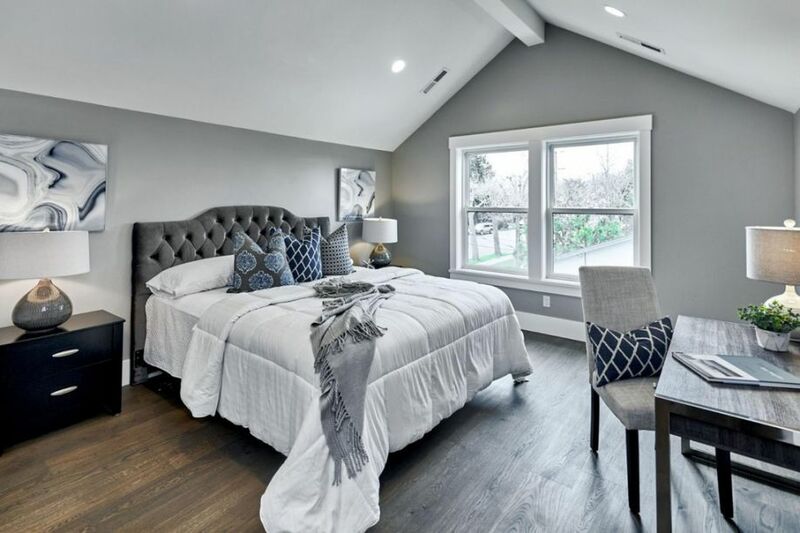 In general, I would recommend to just keep in mind the the key parts of contemporary interior design that you like to use throughout the rest of the house, and just modify it slightly to fit the bedroom. I would love to infuse this fairly boring living area with some cool new contemporary decor. 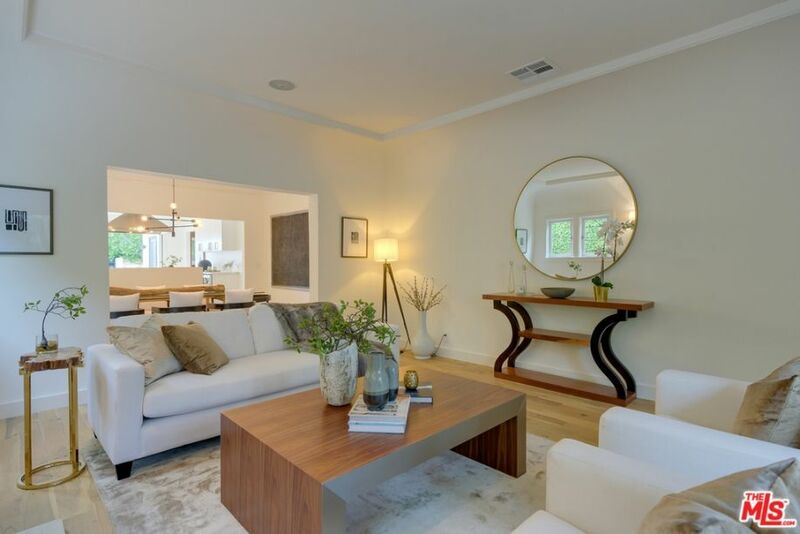 I think a few pieces of contemporary wall decor and some bright pops of color through a throw pillow or two could make this, already lovely space, look complete. If it were my house, I would pull the same celadon green that is found in the cute plants used throughout the room and incorporate it via textiles and some really cool artwork. The particular shade of green would really pop against the neutral contemporary living room ideas that they already have here and would make the space a bit more interesting and "finished" looking. 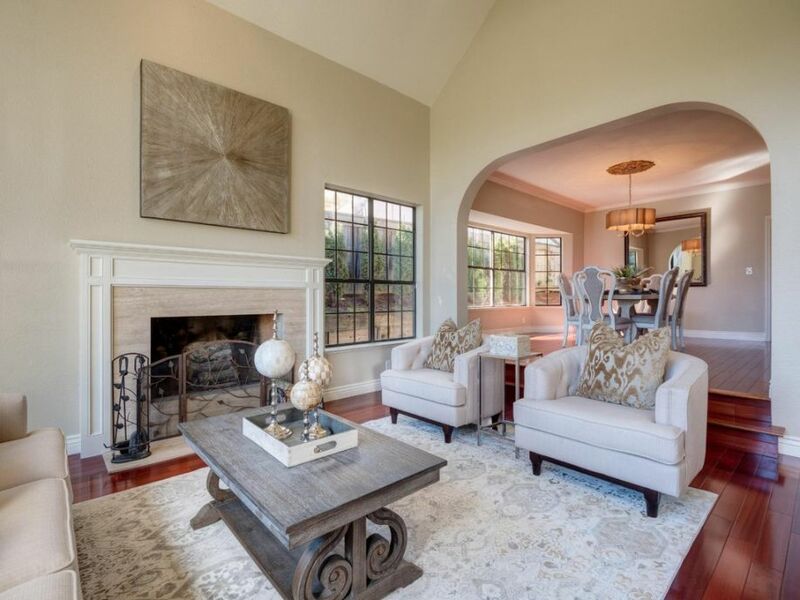 I have always loved contemporary decor, and I wasn't sure if I would still be able to utilize my favorite looks when we moved into this more traditional style home. Before we added furniture and our own decorations, the bedroom design was quite traditional due to the classic wainscoting panelling on the walls, tall ceilings, and neutral carpet (not to mention the architectural detailing used throughout the rest of the house). I was a bit nervous to add our very modern style bedroom furniture to this base because I thought that it would look out of place. Much to my surprise, I actually love how the furniture and contemporary wall decor ideas we already had, paired alongside the more traditional features. I have been wanting to upgrade our current living room style (pictured here) with more contemporary decor for the longest time. Right now it is a mix between traditional and modern (albeit a bit outdated) and overall I am fairly happy with the look, but I think that it could be so much more with a few new touches via throw pillows and wall art decor. First and foremost, I want to freshen up the all neutral color palette with some pops of navy blue. I think that particular color would look so fantastic against the varying shades of cream and champagne that we have going on in there now. I will carry this same accent color through other house decorating ideas like throw pillows, dishes in the adjoining dining room, and even some fun trinkets on the coffee table and bookshelves.